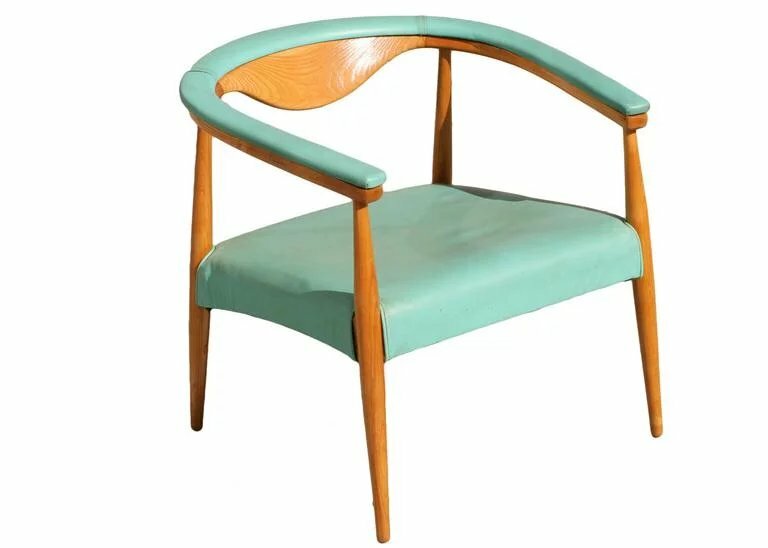 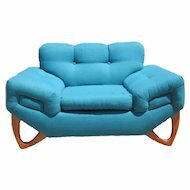 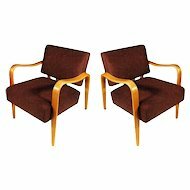 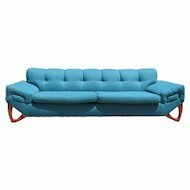 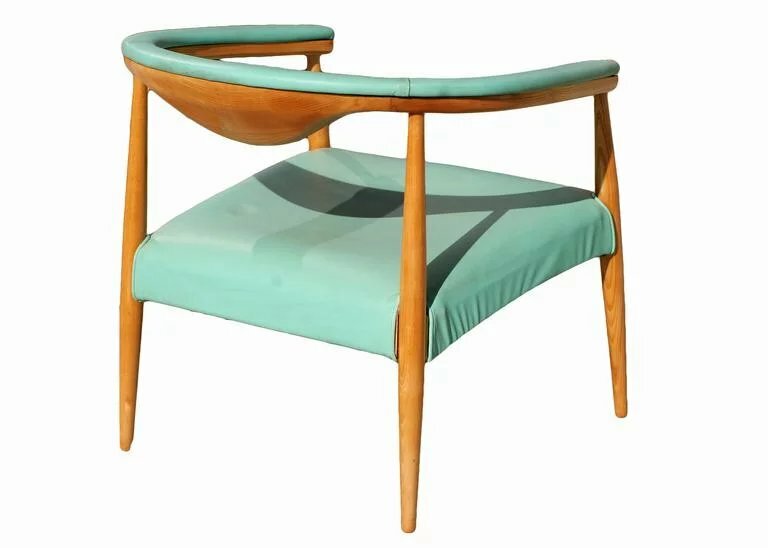 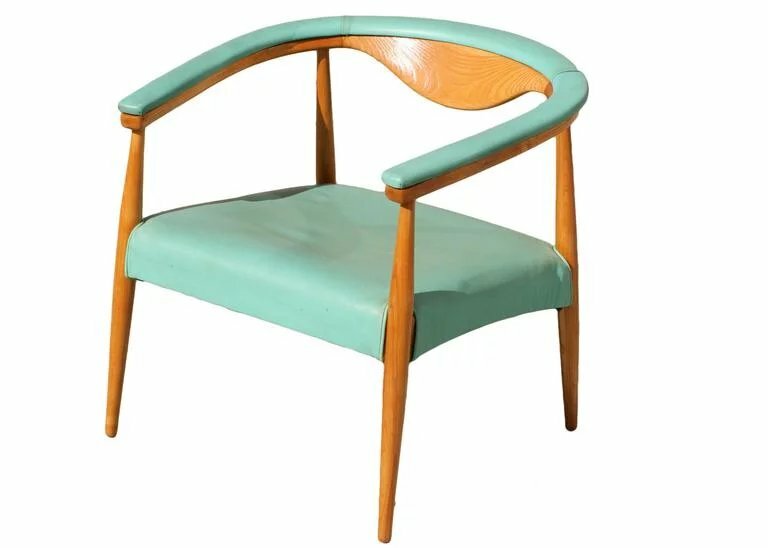 These mid-century modern barrel back armchairs feature the original teal vinyl upholstered seat and back rest that winds all the way around the circumference to cover the arm rests. 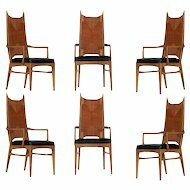 The chairs' frame, including the demilune back rests, are rendered in solid oak. 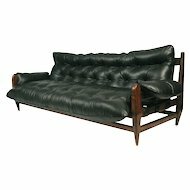 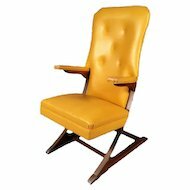 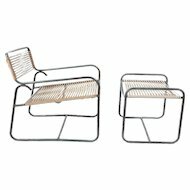 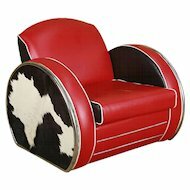 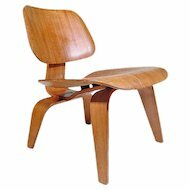 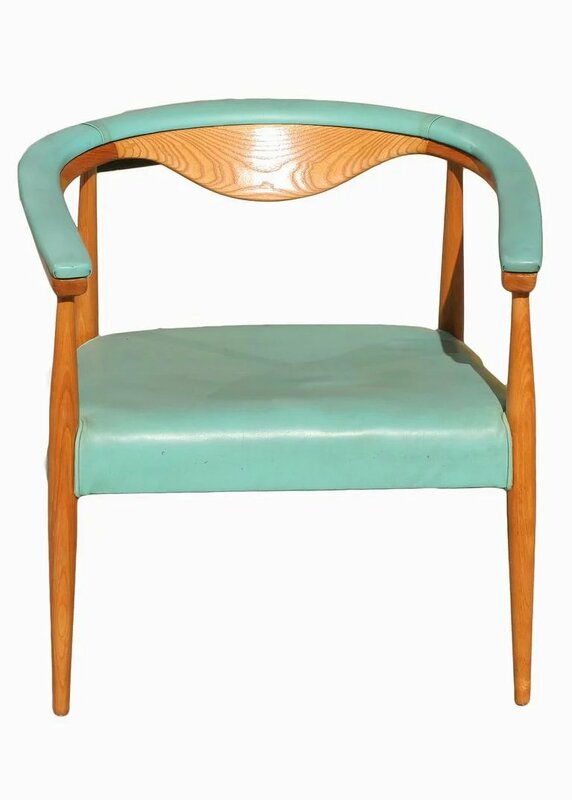 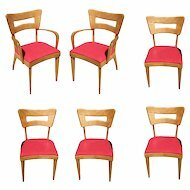 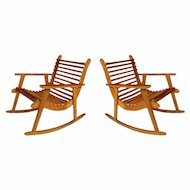 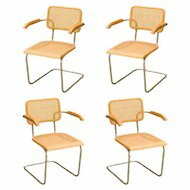 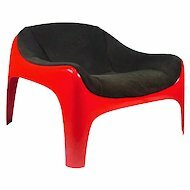 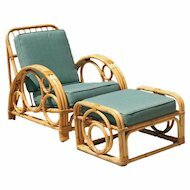 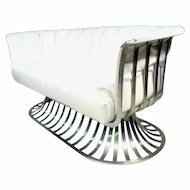 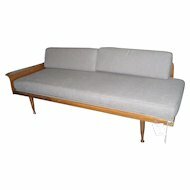 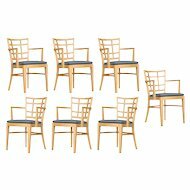 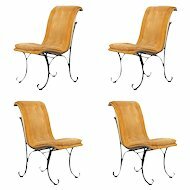 The overall form of the chair was clearly influenced by Hans Wegner's designs.